The Individuals Deposits Guarantee Fund introduced temporary administration at VAB Bank on November 21, based on the decision of the National Bank of Ukraine on including the bank in the category of insolvent banks, according to a statement posted by the NBU on its Facebook page. 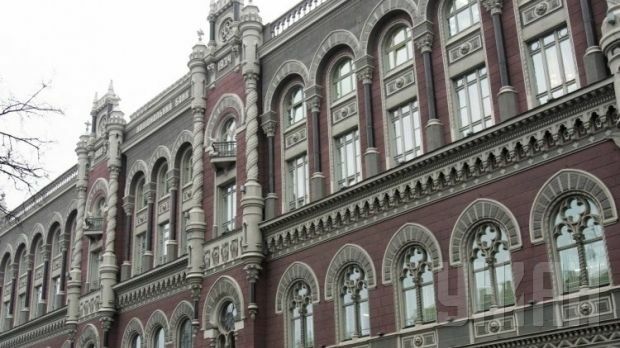 As reported, when supervising the activities of the bank the NBU has repeatedly pointed out to the bank's management and its owners the existence of potential risks in the bank’s activity, and in October it included the bank in its category of problem banks. According to the regulator, the offers of the bank's owners regarding capital increases were not sufficient to support the bank’s solvency. The NBU said it has done its best to support the liquidity of the bank in order to ensure payments to its depositors, but due to insufficient sources from shareholders for recapitalization, the NBU had to take a decision on including the financial institution in the category of insolvent banks. The regulator said it was confident that the Individuals Deposits Guarantee Fund will ensure there are payments of guaranteed amounts of compensation to the depositors in the shortest period possible, and will do everything necessary to remove the bank from the market while ensuring the efficient satisfaction of all creditors' claims. The NBU also said it was not intending to nationalize VAB Bank due to a significant share of its loans being disbursed to related entities. Earlier, the NBU stated its intention to support VAB Bank, which, according to its clients, was delaying transfers and deposit payments. In late October, the main shareholder of VAB Bank, Oleh Bakhmatyuk, said he expected the joint recapitalization of the bank with the participation of the government, including the allocation of $4 billion from the budget. In early July VAB Bank restructured an issue of its Eurobonds worth $88.25 million. On November 21, the Individuals Deposits Guarantee Fund also introduced temporary administration in CityCommerce Bank based on the decision of the NBU on including the bank in the category of insolvent banks, according to the bank’s Web site. VAB Bank has been operating on the Ukrainian market since 1992 and was included in the group of large banks in terms of asset volume. The main shareholder of the bank is the owner of one of the largest agricultural producers in Ukraine, Ukrlandfarming, Oleh Bakhmatyu, who owns shares in the bank through the company Quickcom Limited (Cyprus, 82.9402% of shares).